Those who opt for the ginkgo wall lamp, a piece of living fossil brings to life. Form and name are based on the Chinese ginkgo tree, the only remaining member of a special group of seed plants. 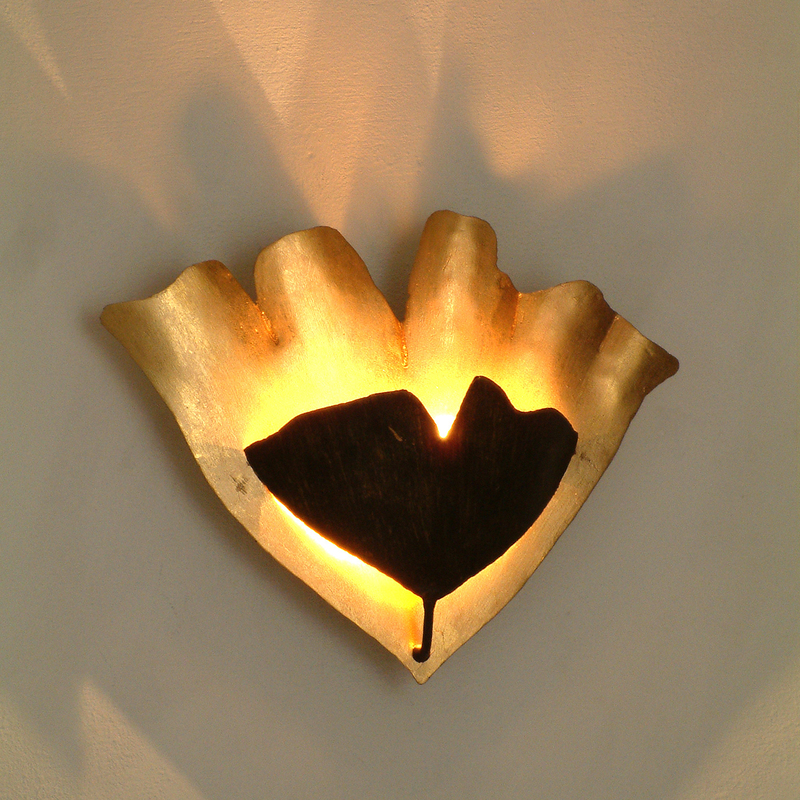 The reaction with golden and brown iron refines the whole appearance of the ginkgo wall light even further. When the power is created by the contrast of light and dark color an inspiring play of light, giving the small wall sconce real highlight character. The German manufacturer Dutchman produced his lamp with 22cm height, 29cm width and 9cm depth.